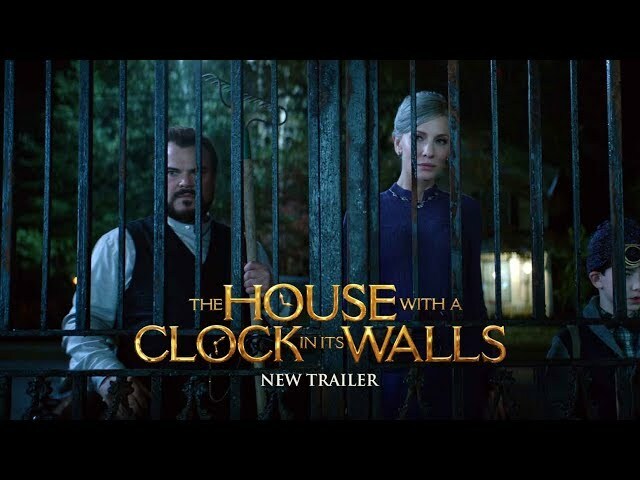 The House with a Clock in Its Walls (film, 2018). A 2018 American dark fantasy comedy film with "PG" rating by Universal Pictures. Directed by Eli Roth. Official Trailer. 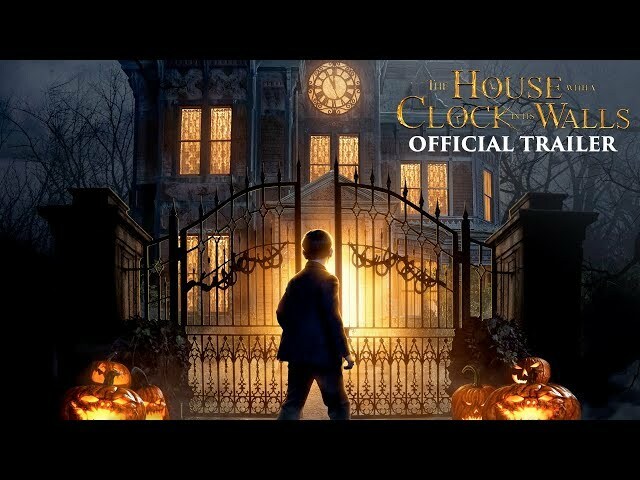 The House with a Clock in Its Walls is a 2018 American dark fantasy comedy film directed by Eli Roth. 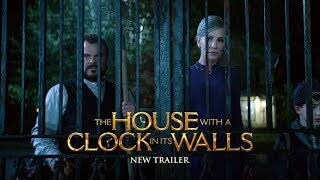 The House with a Clock in Its Walls - Official Trailer 2. After his parents are killed in a car crash, ten-year-old Lewis Barnavelt moves to live with his uncle Jonathan. All he has left of his parents is a Magic 8-Ball they had given him. He meets Jonathan's neighbor and best friend Florence Zimmerman. During the night, Lewis is puzzled when he hears a ticking sound in the walls. Lewis begins exploring the house and stumbles upon Jonathan smashing a wall with an axe. Frightened, he runs away and stumbles upon multiple household objects coming to life. Jonathan confesses that he is a warlock and Florence is a witch. The house's previous owners were a sinister warlock named Isaac Izard and his equally wicked wife Selena, who had hidden a clock within the walls of the house before they died. Jonathan has been trying to find it and discover its purpose. Despite Jonathan's discouragement, Lewis begins teaching himself magic. On his first day at his new school, Lewis meets Tarby Corrigan, who befriends him in order to win an election for class president. When Tarby wins the election he abandons Lewis. Lewis' mother visits him in a dream. When he laments that Tarby does not see him as a friend, she suggests that he use a spell from a forbidden book to impress Tarby. On Halloween night Lewis performs a necromancy spell in a cemetery, accidentally summoning the ghost of Isaac. Lewis spies Isaac in the house of a neighbor, Mrs. Hanchett. He brings her to the house, but before he can find Jonathan, Isaac emerges. He reveals that Mrs. Hanchett is really Selena, who killed Mrs. Hanchett and took her place. It was also she who took the form of Lewis' mother to persuade him to summon Isaac. Isaac explains that his hidden clock will turn time back so that humanity never existed. Florence, Jonathan, and Lewis run from the house. Principal photography began on October 10, 2017 in Atlanta, Georgia. The film The House with a Clock in Its Walls was scheduled to be released by Universal Pictures on September 20, 2018 (Germany) and on September 21, 2018 (United States). The duration of the film is 105 minutes. With a budget of $42 million, the film grossed over $131.5 million. The House with a Clock in Its Walls got high rating from critics. But the audience dislikes the film. Audiences polled by CinemaScore gave the film an average grade of "B+" on a scale ranging from A+ to F.